Patricia Donlevy-Rosen, Esq. 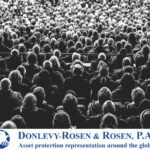 is a shareholder (partner) of the law firm of Donlevy-Rosen & Rosen, P.A. 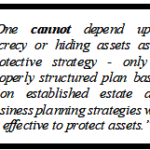 Patricia is the co-author of “Asset Protection: A Guide For Professionals” (2014). 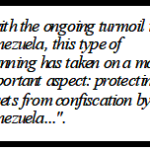 Her other notable publications include the RIA Tax Advisors Planning Series titled “Asset Protection Planning”. Due to Patricia’s extensive experience with offshore asset protection planning and the protection of immovable assets, she is regarded as an authority on the subjects among her peers. 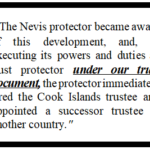 Patricia is a member of the Florida Bar, a member of the New York Bar, and an AV® Preeminent™ rated attorney. Patricia is available as an asset protection expert witness. 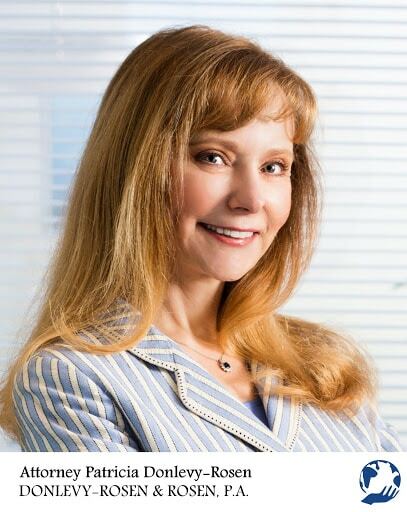 Patricia Donlevy-Rosen is an AV® Preeminent™ rated Attorney practicing law in Miami, Florida, as a shareholder in the firm of Donlevy-Rosen & Rosen, P.A. Donlevy-Rosen & Rosen, P.A. is listed in Martindale-Hubbell’s Bar Register of Preeminent Lawyers. Ms. Donlevy-Rosen is also admitted to practice law in New York. Ms. Donlevy-Rosen is a frequent lecturer and author on asset protection planning, and corporate and business planning subjects. Ms. Donlevy-Rosen’s law practice is concentrated in asset protection planning and related matters. Her experience includes probate matters, planning and structuring all types of business entities and transactions (including acquisitions, mergers, leveraged buy-outs, obtaining copyright and trademark protection). 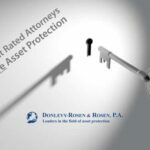 Ms. Donlevy-Rosen is a frequent contributing author for The Asset Protection News®, and has also had her asset protection related articles appear in such publications as the South Florida Business Journal , the Woman’s Business Journal, and others. This newsletter discusses the major current U.S. tax reporting requirements for the asset protection trust. Patricia Donlevy-Rosen explains how loans can be used to protect real estate. How can you protect assets that are stuck in the US? Patricia Donlevy-Rosen presents some advanced techniques that can accomplish just that.